What a great event in Orlando at The Gaylord Palms Hotel & Conference Center. The team had a fantastic couple of days despite “courier gate” where materials arrived in bits but at least it was only the boxes that were damaged! It didn’t dampen the enthusiasm to meet surgeons and colleagues in industry. It was great to see so many diverse manufacturers and orthopaedic trauma device companies represented in the exhibition area. The unopposed times and the exhibition reception meant there was traffic of attendees through the exhibition space but due to timings there were a few hours in the day where it was quiet which gave exhibitors time to meet and interact which is also useful. You never know where the next great collaboration could come from! 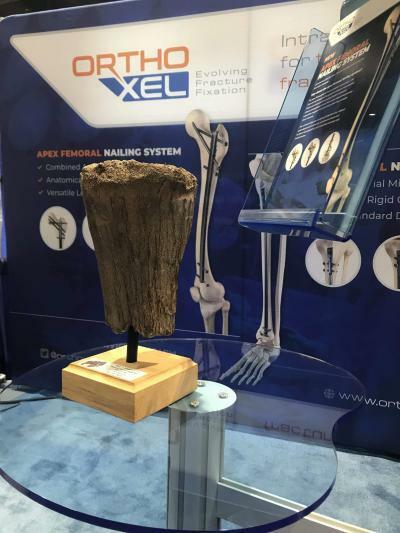 OrthoXel are already planning American Academy of Orthopaedic Surgeons congress AAOS 2019 in Vegas see you there on Booth 6131.